Chris Christie was one of the country’s top political thespians, rising above other contemporary Republicans, he was a master puppeteer for creating dramatic moments for television and online media. The nation could watch his political plights with thrill, trying to understand his unique brand of personality. But now, the New Jersey governor, who once skyrocketed his career with a social media campaign and shocking headlines, is up against several adversaries who are turning the tables of social media and ad campaigning against him. This scandal, because there have been a few in recent history attached to Christie, involves at least three (so far) of his associates with a scheme to consciously disrupt traffic near the George Washington Bridge. This scheme, quickly becoming known as Bridgegate (a tip of the hat to the Watergate scandal in the Nixon era), is turning into a case study in the ever-changing political messaging devices that have been constructed by Democrats in the Obama era. The story would’ve been a big blockbuster headline anyway, but what really helped spur it along into scandal-territory is Christie’s status as a presidential contender. Christie is creating a maelstrom of problems for himself and his aides, Bridgegate only making it more tangled. He has talked himself out of his issues before, albeit not very well and lacking a truly cohesive message, but this one might be more than he can handle. The mess started when New Jersey newspaper The Record got ahold of a group of emails that showed Christie’s deputy chief of staff sending a message that evidently green-lit the closure of lanes on the George Washington Bridge as an act of political retribution. However, the month leading up to the publication of the emails from the deputy chief of staff, the Democratic National Committee was already at work at anti-Christie messages that have now transformed into the leading topic in the political world. Scandals used to be a media strategy, and with the issues arising around Christie, it’s certainly reminiscent of Nixon’s scandal with Watergate and the 1990s scandal with Clinton and his affair. The opposing parties ate it up, creating campaigns that based around the lies and the plotting of the other party, capitalizing on their obvious structural failures. This time with Christie, the goal of the Democratic party is clear, they want to go above and beyond simply harassing Christie and exploiting his pathological lying by permanently crippling his reputation as an honest politician and speaker of the people. 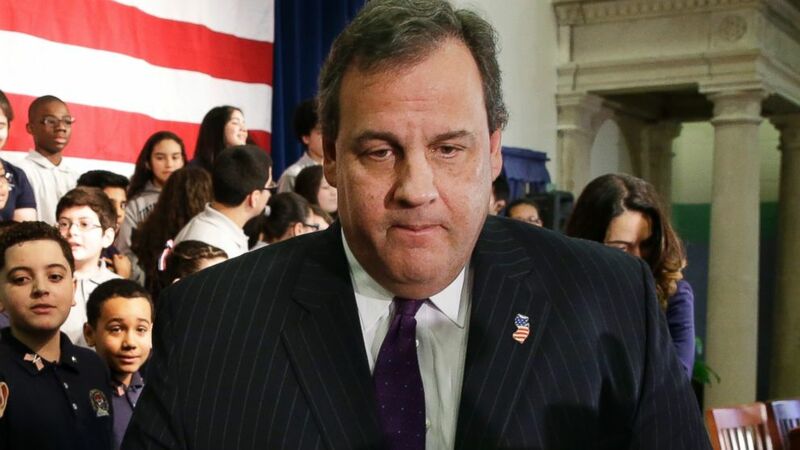 This could be disastrous for Christie in the 2016 Presidential elections. How can so many even still think he’s presidential material? Christie’s issues getting control over his New Jersey administration don’t bode well for what would happen when the company he keeps is raised to a national level. While, yes, the administration is responsible for the emails leading up to the Bridgegate scandal, Christie holds ultimate responsibility for his staff. This scandal is a dream come true for the Democratic party as it attempts to win the public over by posing Christie as untrustworthy and insufficient to run for national office. The amount of open-ended questions about Bridgegate that no one in Christie’s administration can seem to answer appropriately is only inflating the issues. The Republican answer to all of this has been to continue to shed light over the Benghazi scandal, taking their turn to fight fire with fire. Bridgegate has been given a vast amount of airtime from MSNBC, CNN and National Public Radio. It will be interesting to see what comes out when the DNC starts to shake the rug, and which bugs truly lie in Christie’s administration. Deeply sarcastic and opinionated, mildly nosy, and lover of all things ironic. I write for and about advocacy groups and political news (or scandals, yay).